Across the country, educators are finding ways to spread the word about the damage runaway inequality is doing to our country. Check out the stories below from New York and Texas and some upcoming events in California and North Carolina. 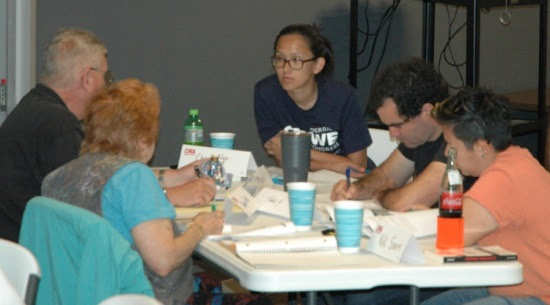 Learn more about being a runaway inequality trainer. “We use the runaway inequality workshop as a recruitment tool in the community. So far we have educated 75 people, organized a panel discussion as a follow up, and used the runaway inequality “roadshow” and at the local festival to find new participants for the next class. 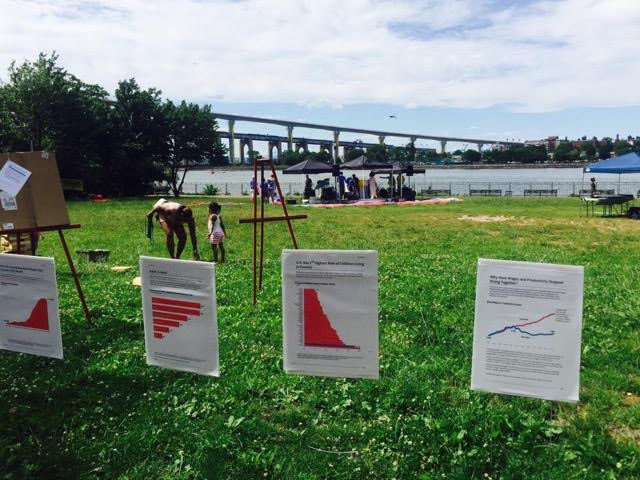 At the La Isla Bonita community festival on Staten Island, festivalgoers added social movements in U.S. history to a timeline and reflected on charts showing the depth and causes of runaway inequality. 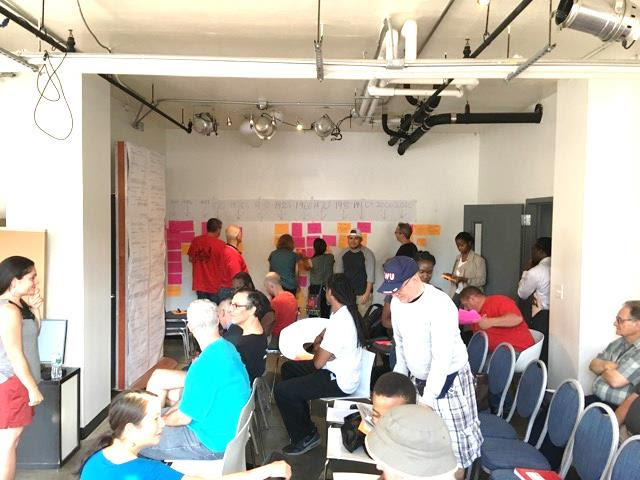 Activists representing Democratic Socialists of America (DSA), Texas State Employees Union, Our Revolution, 350 Austin, and the Travis County Green Party came to a day-long Reversing Runaway Inequality workshop. They dug deep into the causes of runaway inequality and the effects that financial strip-mining has on our lives. About half of the participants plan to partner up and lead their own workshops. The RunawayInequality.org educational network runs full-day workshops called Reversing Runaway Inequality. You’re invited to attend a version of the workshop that will also include discussion of the Small Group Activity Method the workshop uses. Sliding scale registration fee: $20-$60 to cover materials and lunch. The curriculum is designed for a full-day workshop for 20-25 people, though the material can be adapted for different size groups and shorter amounts of time. Les Leopold will discuss Runaway Inequality: An Activist’s Guide to Economic Justice and what we might do to address runaway inequality.